This day is a 24-hour fundraising event that brings donors, volunteers and the Skutt Catholic community together around a common cause. Proceeds will go toward increasing the annual appeal. If you are planning to give but have not yet made your gift this day is your chance. 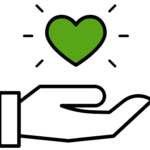 It is our hope that through this Day of Giving, we will be able to reach and engage our community to help our cause. 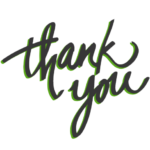 Over the past 26 years there have been individuals who impacted your relationship with Skutt Cathlolic High School. Thank them today! Let us know what SkyHawk alumni, coach, administrator, or teacher made your Skutt Catholic experience great. Tell us about your SkyHawk connections! Use the hashtag #SCDayofGiving on social media today! 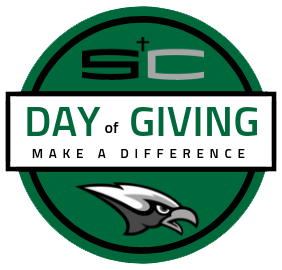 Join the leadership of Skutt Catholic by making your gift on the Day of Giving. If we can get 50 gifts in this 24-hour giving day window, $5,000 will be unlocked! All gifts, all sizes, all day – will count! Alumni! Now is your chance. YOU can unlock an additional $3,500 just by making a gift on Skutt Catholic’s Day of Giving. We need your support to make this happen! Two of your classmates have stepped up to provide $3,500 in challenge matching funds. These funds can only be unlocked once we receive 35 more gifts from alumni. Gifts of all sizes count–make yours and then encourage your classmates to join you! Two Power Hours Challenge: 6-8 p.m.
Want to make an even larger impact on Day of Giving? If we reach $3,000 of support raised within this two hours, another $3,000 in challenge match funds will be unlocked. We will be making calls or you can set an alarm and make plans to hop online in the evening to take part in this final challenge! Make a gift, share about it on social media, and be entered into a drawing for some new SkyHawk gear! Don’t forget to use the hashtag #SCDayofGiving so that we can see your post and enter you into the drawing.